Since its opening over five years ago, Animal has created a must have dining experience for the meativores of the Los Angeles. Acclaimed Chefs Jon Shook and Vinny Dotolo’s flagship restaurant delivers a trendy, yet minimalist environment that focuses on the food being served. Be prepared to step out of your comfort zone and order new dishes that will wow your tastebuds and leave your mind wondering why you’ve never ordered something like this before. In keeping with their farm to table sourcing approach and focus on uncompromised great taste, Animal offers their guests great tasting Vero Still and Sparkling Water. 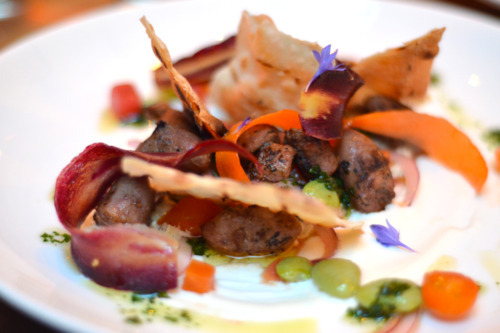 Of Note: Animal’s success made Chefs Jon Shook and Vinny Dotolo a 2013 James Beard Award Finalist for Best Chef: West.